H.R. 1651 was introduced on March 21, 2017 by Representatives Eddie Bernice Johnson (TX-30-D) and Pete King (NY-2-R). The success of the National Nurse Act depends on supporters and key stakeholders including the readers of this newsletter. Several nurses have already had person-to-person visits with their own elected officials to encourage their co sponsorship for H.R. Rep. King was very touched when these nurse practitioner leaders thanked him for his support of the National Nurse Act. He told them this was something that we need to do! 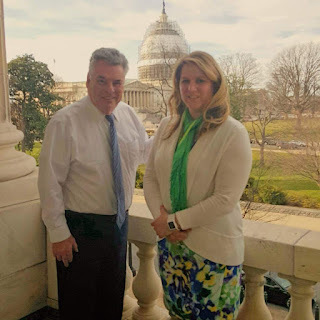 Also stopping by to thank Rep. King last month was Melody Butler, the Executive Director and Founder of Nurses Who Vaccinate, a supporting organization for the National Nurse Act. Congressman McKinley signed on as an original co-sponsor to H.R. 1651. It is great to have his support! Take Five!! Each of you can make a difference in helping to pass H.R. 1651 National Nurse Act of 2017. Take 5 minutes to call or write to your elected Representative this week. 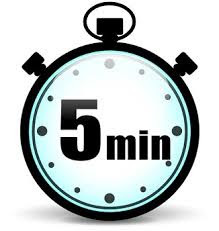 You can do this very easily by visiting the Take Action link on the National Nurse website. There is a great deal of helpful information to ensure your success. Please urge your elected member of Congress to sign on as a co-sponsor to H.R. 1651. The more calls, letters, and emails the elected officials receive from their own constituents, the more likely they are to join the growing list of co-sponsors. 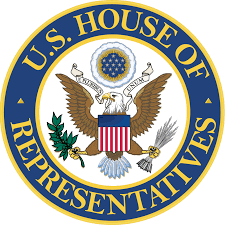 If you are interested in making a personal appointment at your U.S. Representative’s district office please contact the NNNO Board for handouts and advice. Nurses were once again voted the Most Trusted Professionals in the 2016 Gallup Poll. This marked the 15th year in a row that nurses have topped the list. It’s indeed an honor to call ourselves nurses and to be able to impart our knowledge on our patients to improve their quality of life and health status. Today we face uncertainties with the new administration who promises to “repeal and replace” the Affordable Care Act as soon as possible. We need to stand strong together in a bipartisan effort to ensure Americans continue to receive the very best health care. This starts with prevention and nurses are in a unique position to lead the way. With chronic conditions on the rise that continue to bankrupt our federal and personal healthcare dollars, educating patients about their life style, health issues, chronic illness conditions and how to PREVENT complications become even more important today. Nurses Advance Wellness As nurses we have long been charged with the responsibility of patient education. Now more than ever before we need to advocate for our patients, ourselves and the health status of our country. The American Nurses Association too recognizes the important role nurses serve in advancing wellness and at the beginning of 2017 kicked off its “Healthy Nurse, Healthy Nation” campaign. The vision is to create a healthier nation by maintaining the well being of America’s 3.6 million nurses. Dream Becomes Grass Roots Effort In 2005, a nurse educator and patient advocate from Oregon named Teri Mills MS, RN, CNE had a dream and wrote an Op-ed in the New York Times calling for unification of the nursing profession in America with a National Nurse. 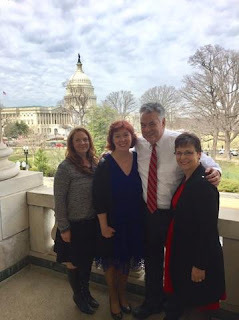 In early 2015, the National Nurse Act (HR 379) was introduced in the House of Representatives by Reps. Eddie Bernice Johnson (a nurse) (D-TX) and Peter King (R-NY). The Senate companion bill (S 1205) was co-led by Senators Jeff Merkley (D-OR) and Shelley Moore Capito (R-WV). The beauty of this non-controversial legislation is that it required NO additional funding for implementation. The National Nurse Act of 2015 received strong bi-partisan co-sponsor support from 97 Representatives and 5 Senators in addition to 119 nursing organizations including the American Nurses Association, the National Federation of Nurses, and the Federation of Healthcare Professionals. Five state legislative bodies (MA, OR, NJ, NY and VT) overwhelmingly passed resolutions urging Congress to enact this bill. H.R. 1651 The National Nurse Act of 2017 Introduced Twelve years later the legislation that grew from that grass roots effort known as H.R. 1651 The National Nurse Act of 2017 was reintroduced to the 2017 Congress. This legislation designates the Chief Nurse Officer of the U.S. Public Health Service as the National Nurse for Public Health to raise visibility and increase public and nursing support for health promotion and disease prevention. The National Nurse Act of 2015 came very close to passing. It is hoped 2017 will be year it passes so that the office of the Chief Nursing Officer/National Nurse for Public Health will be better able to guide the nursing profession in promoting, protecting and advancing the nation’s health. YOU Can Help A small action on your part can go a long way in helping to bring the National Nurse Act to fruition. Please take a moment to contact your elected officials and request that they sign on NOW to support and co sponsor HR 1651. To create the change we want and need, it is imperative that nurses stand together to advocate for health promotion and prevention via a National Nurse for Public Health.